Guy Fawkes Night, or Bonfire as it's known locally, is a big deal here in Lewes. Each November the 5th (or, as it is this year, the 4th; Bonfire never takes place on a Sunday) thousands line the streets to witness the six bonfire societies – whose memberships number in the many hundreds – and visiting societies from across Sussex parade around the town in a cavalcade of flames and firecrackers, costumes and pageantry, tableaux (the term for the huge, topical – often controversially so – papier-mache effigies the societies build and then blow up) and centuries-old tradition, culminating in the ritual exploding of the Pope and subsequent firework displays at six fire sites dotted around town. 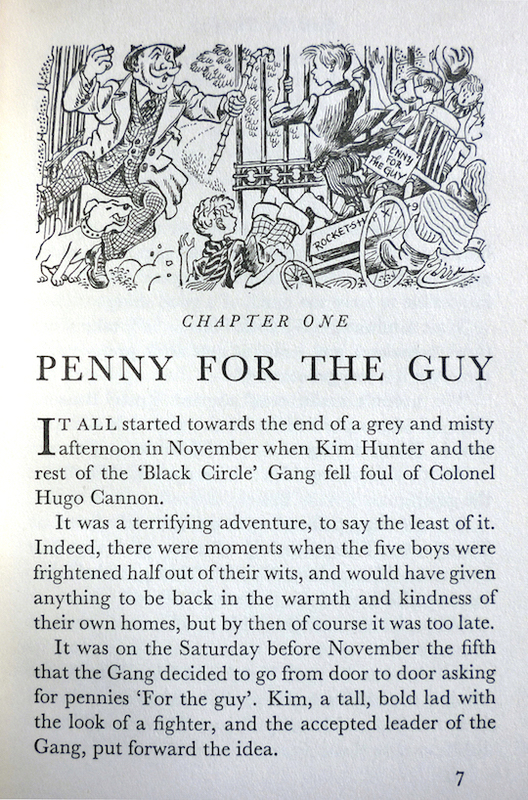 A first edition of Peril for the Guy by John Kennett, published by Brockhampton Press in 1955, dust jacket and interior illustrations by Stuart Boyle (who also illustrated Evelyn Waugh's The Loved One, and whose daughter Catherine Brighton is herself an illustrator). 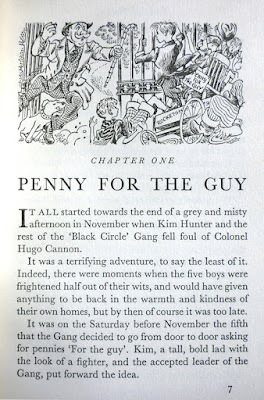 A children's adventure novel about young Kim Hunter and his four friends – the 'Black Circle' Gang – who set out to collect 'pennies for the guy' but wind up falling foul of the sinister Colonel Hugo Cannon, I suppose its main claim to fame these days is that it became a Children's Film Foundation production the year after publication, directed by James Hill, starring Fraser Hines – later of Doctor Who and Emmerdale – and now available to view in its entirety on the BFI website. Kennett didn't write that film adaptation, but he did write or edit around fifty other books for children – history and biography as well as fiction – including two sequels to Peril for Guy: Walk into Peril, 1957, and Peril All the Way, 1959. He was also a teacher at Knebworth County Primary School in Hertfordshire, a former pupil of which establishment recalls that mention of the film adaptation of Peril for the Guy was for some reason taboo. To a Robert from his Auntie Eve and Uncle Dennis on the occasion of his twelfth birthday. 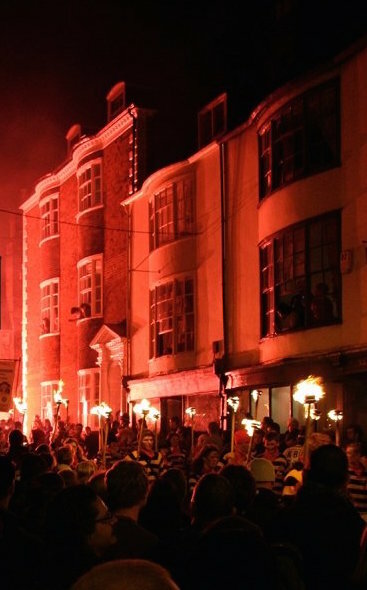 One to ponder over the weekend, perhaps, as Lewes once more bursts into flames. Linked in this Friday's Forgotten Books roundup. Bonfire photos © Rachel Day. This is very cool, Nick. I love the design on the book cover and the dust jacket. 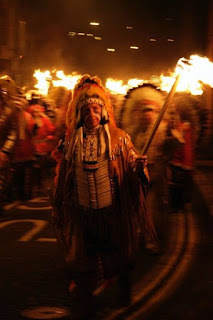 I am only mildly acquainted with Guy Fawkes night. I wish I could remember which book I read that featured that event.